Vancouver police are investigating a double homicide at a West End apartment complex. The Vancouver Police Department's homicide unit is investigating a double homicide in a West End apartment building. Officers found the body of a 57-year-old woman and a 51-year-old man on Sunday just before 5:00 p.m. PT at 1835 Morton Ave. The victims are both Vancouver residents, but police wouldn't say whether they both lived in the co-op. A person of interest has been arrested. "No indication that the public is at risk. All parties are known to each other," said Sgt. Jason Robillard. Investigators were scouring the area for hours on Monday and part of the Sylvia Hotel, which is just steps away from the apartment building, was cornered off. Police say their search at the hotel is linked to the double homicide. 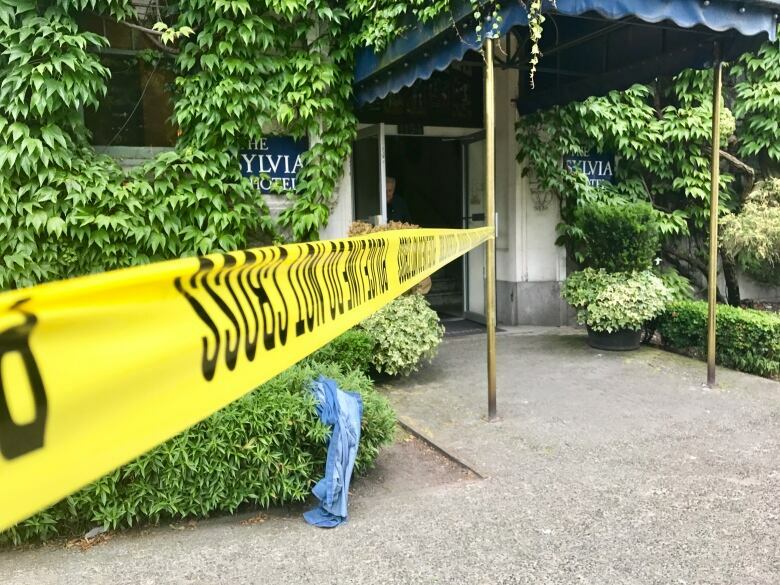 Anyone who witnessed suspicious activity around the area, from the afternoon of Saturday, July 8, to the early evening of Sunday, July 9, is asked to contact the VPD homicide unit at 604-717-2500 or Crime Stoppers at 1-800-222-8477.